Encrypt and delete sensitive data. Is there a better alternative to Identity Scrubber? Is Identity Scrubber really the best app in Security category? Will Identity Scrubber work good on macOS 10.13.4? Identity Scrubber knows that your work computers contain sensitive data including credit card numbers, social security numbers, internal codes, employee records and more. If that information fell into the wrong hands, it could be a serious threat to your business. 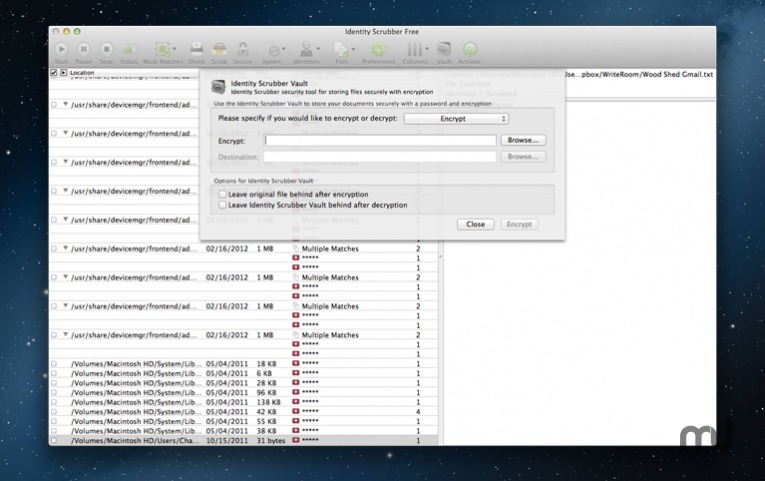 Intego Identity Scrubber can pinpoint exactly where the data is on your Mac and then encrypt or delete it so your business is thoroughly protected. Version 7.0.0.2: Release notes were unavailable when this listing was updated.